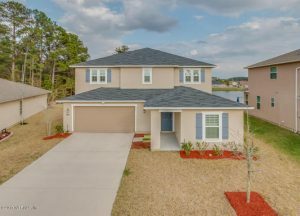 This weekend we have six open house showings, five on Saturday in Oakleaf, on the Southside, and near the airport, and one on Sunday in Bartram Park. Please come by and tour these beautiful homes this weekend. We have wonderful agents available to assist you and answer any questions you may have. You’ve been invited to tour this 6 Bedrooms/4 Full Baths spacious 3300+ square foot home with plenty of room for everyone! You don’t want to miss out on this perfectly kept, newer home offered at an affordable price! Open house brought to you by The CAZA Team. STUNNING home located in Eagle Landing. This property is in immaculate condition with many upgrades. Property backs up to the golf course with a balcony that overlooks the 15th hole! Home features over 3900 Sf, 5 bedrooms, 4 bathrooms, and very open floor-plan. 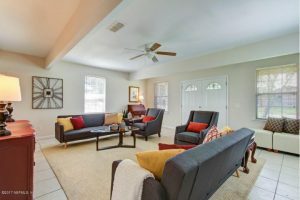 Property is perfect for entertaining with a very large theater room upstairs with a built-in kitchenette, as well as the kitchen opening up to the living room. Kitchen features beautiful black solid-surface counter-tops with a glass top stove, built in oven and microwave, and 42” cabinets. Air handlers are 1 and 2 years old respectively. Home features a gas fireplace. 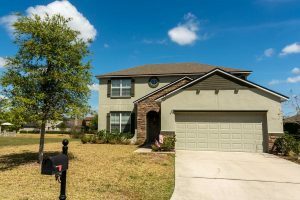 This property is conveniently located near the Oakleaf Town Center, Eagle Landing amenity center, and A schools!! Unique San Jose home close to San Jose Country Club. Near parks and creeks. 4/2 with beautiful wood floors & two large living areas for great for entertainment. Large corner lot, wood deck, fenced rear and more. Down payment assistance! Truly a unique and one of a kind house! Wake up in the morning, and have coffee on your wrap around porch. This large 4 bedroom/ 3 bathroom house is move-in ready. Living room with wood burning fireplace, tile throughout, and large eat-in kitchen. It is a must see!! 1st floor huge master bedroom with two walk in closets-his and hers. Sliding glass door open to the spacious back yard, with a large gazebo. 2nd floor has 2 bedrooms, a bathroom, and large bonus room. 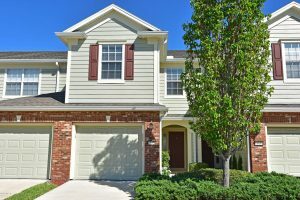 Welcome home to this immaculate 3/2.5 lakefront townhouse, located in desired gated community: Greenbrier at Bartram Park. 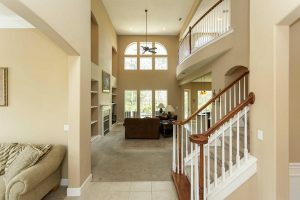 Home boasts an open floor plan that is perfect for entertaining. 1st floor: 1 car garage; large kitchen featuring 42 inch cabinetry and stainless steel appliances; dining and living area with new laminate wood floors; and a half bath. There is a screened in lanai overlooking the lake. 2nd floor: Features new carpet throughout, 3 large bedrooms, 2 full bathrooms, and a laundry area. Unit has new/fresh paint throughout; AC is 2 years young. 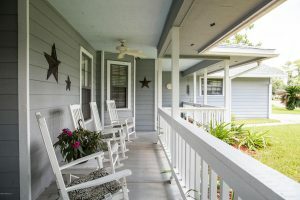 Relax in the community’s pool; or take a walk through Julington-Durbin Preserve Trails, which is within walking distance.